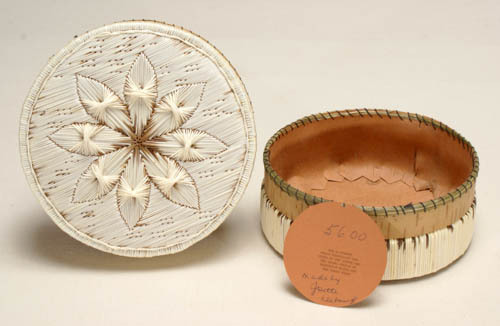 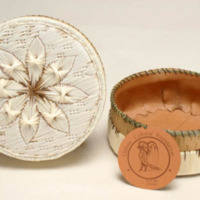 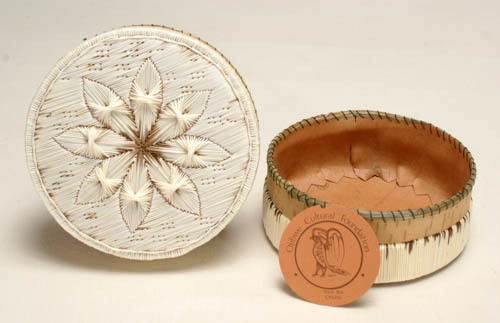 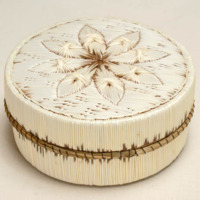 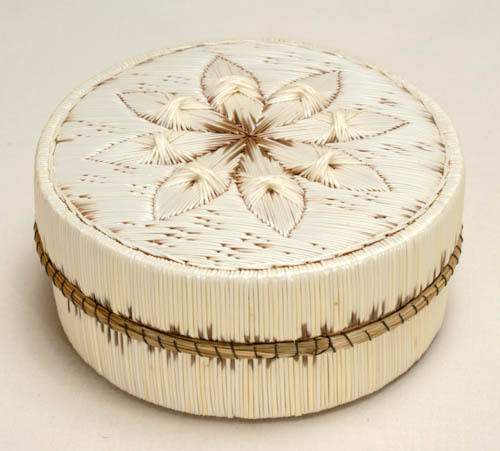 Round birch bark lidded box with dense white quillwork of an 8-petal flower on the lid. 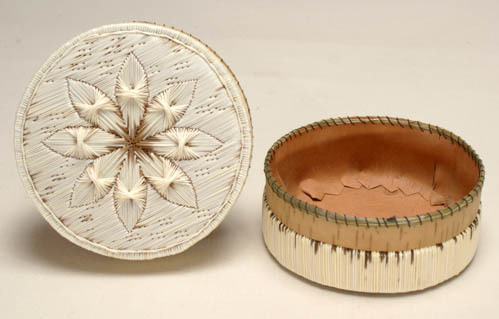 Bay/M’Chigeeng for $56.00. Inside is a store tag with the price, artist’s name, and statement of authenticity. 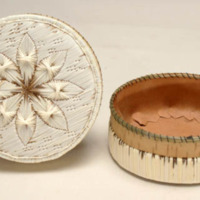 “Birch Bark Box,” Mathers Museum of World Cultures Digital Exhibits, accessed April 23, 2019, http://dlib.indiana.edu/omeka/mathers/items/show/234.